The combined efforts of farmers and researchers have paid off, yielding practical solutions for managing black beetle’s impact on pasture. Together they’ve just wrapped up a three-year project part-funded by DairyNZ’s levy, partnering with other researchers and sector organisations. 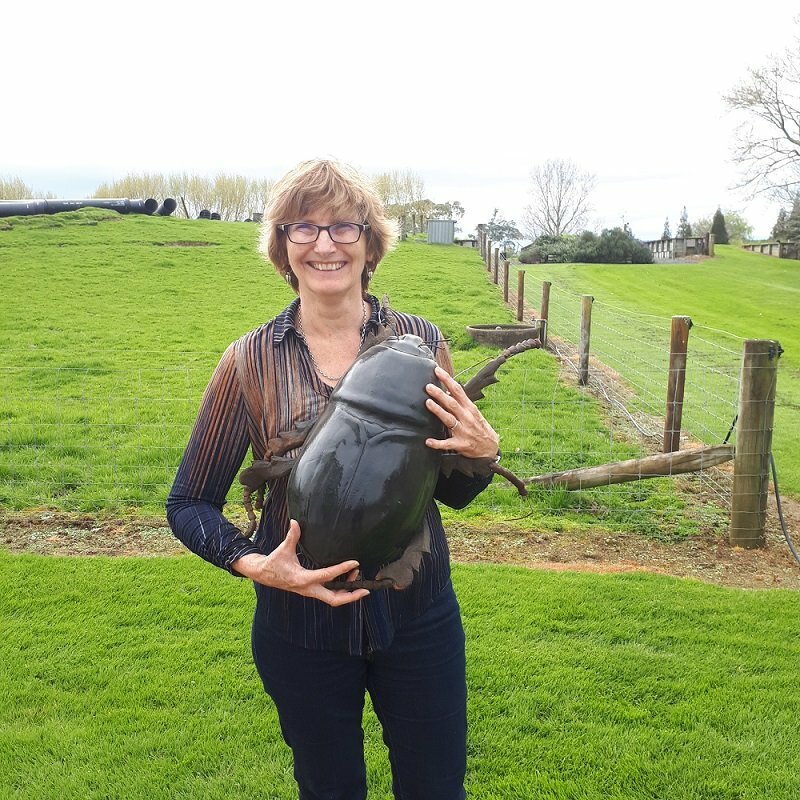 After black beetle ravaged pasture on Waikato and Bay of Plenty farms 10 years ago, the Waikato Black Beetle Action Group was formed. In 2015, the group became involved with a Ministry for Primary Industries Sustainable Farming Fund (SFF) project, New tools to combat black beetle, funded by SFF, DairyNZ, Ballance Agri Nutrients and Graymont Lime. Earlier research had shown that ryegrasses with black beetle active endophytes are essential on northern North Island dairy farms to keep the insects’ numbers down. However, many Waikato farmers on light or peat soils still had serious ongoing black beetle problems and needed additional tools. Project partners put their heads together, sharing their knowledge, ideas and resources, which led to positive outcomes and practical solutions. A single application of five tonnes (t) of ag-lime per hectare (ha) reduced larval populations by around 30 percent compared to untreated pasture – and there was no decline in efficacy over three years. This suggests that this level of suppression can help dampen larval populations when the risk of an outbreak is high. The existing industry recommendation regarding lime application on dairy farms is to target soil pH levels in the range of 5.8 to 6.0. Based on field and laboratory results, a target of pH 6.0-6.2 is recommended on farms prone to black beetle outbreaks. Achieving the target pH is a win-win – it optimises clover content in pasture and black beetle suppression. The lime work research approach demonstrated the strength of the alliance in action. There was the Waikato Action Group farmers (Martin Henton from Taupiri, Stuart King from Te Aroha and David MacDonald from Gordonton) who opened their farms to the researchers. Ballance Agri-Nutrients forage specialist Murray Lane and the DairyNZ Extension team made sure the focus was on a practical solution that could be readily implemented on-farm. Graymont provided the lime applications and AgResearch’s entomologists (insect specialists) carried out the research, ensuring experiments were scientifically robust and peer-reviewed when published. The project’s success shows how farmers with a common interest can access and leverage support to create practical solutions through working with others in the dairy sector and beyond.